A Smarter Way to Pay is a unique direct debit payment system that provides residents with flexible payment options when it comes to Rates time. 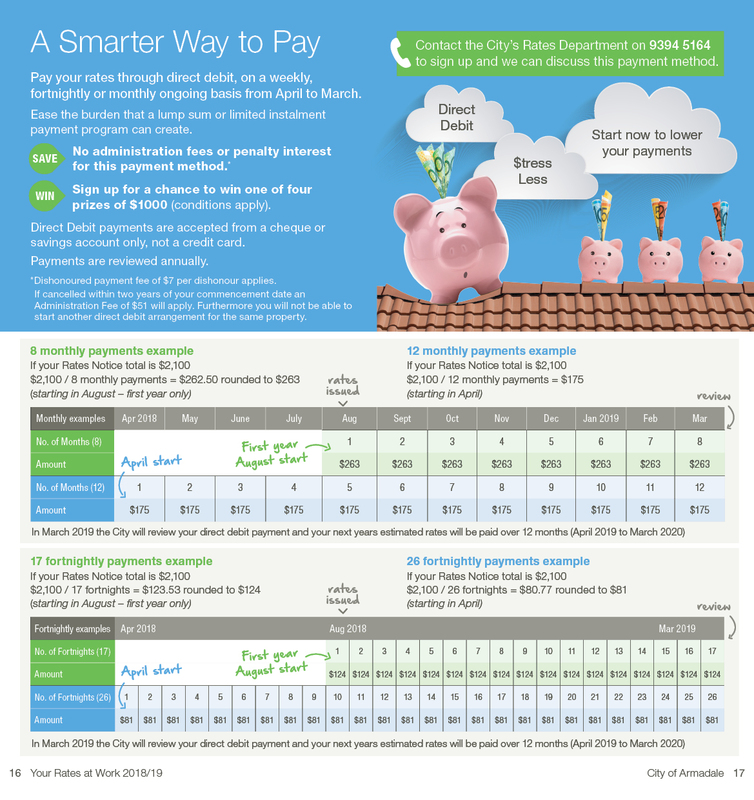 Any ratepayer can sign up to A Smarter Way to Pay. Give the City a call and the Rates team will customise a payment package specifically for your budget and review your plan every year, ensuring you never fall behind. This payment plan also provides residents with the opportunity to tailor payments to a time that suits them – you can sign up for fortnightly direct debits in time with your pay cycle and never worry about missing the due date. There are also no fees or charges associated with A Smarter Way to Pay when you sign up for a minimum of two years. This is by far the most cost effective option for those looking to find a more budget friendly payment system. For information on A Smarter Way to Pay call the Rates team on 9394 5164.